Leading Age Services Australia, the voice of aged care, says the Government’s decision to focus on tax cuts and a bigger surplus means it has missed the opportunity to meet the needs of the 120,000 older Australians on the home care wait list and provide sustainable residential care funding that covers the rising costs of delivering quality care. The major aged care funding measures announced in the Budget tonight were those which had already been announced in February. While this funding and earlier announcements in MYEFO are welcome, industry has made clear that it will not address the urgent challenges facing the sector. Other measures announced tonight focussed largely on investment in new regulatory measures along with an extension of the Commonwealth Home Support Programme and supporting the implementation of the Aged Care Workforce Strategy. LASA Chief Executive Officer Sean Rooney said while these announcements are welcome, the Budget overall shows the Government does not have a strategy to make aged care better right now. “We support measures to improve compliance and increase quality in the sector but the Government needs to work collaboratively with industry and focus on improving practices and providing adequate resources. Mr Rooney said the next Government of Australia must commit to rapid and fundamental funding reform if we are to meet the changing needs and expectations of the growing numbers of older Australians. “We have detailed what we think the funding priorities should be, along with a range of measures to free up funding for age services without any cost to the Budget, alongside vital research required to drive future reform in the sector. 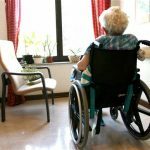 “Ahead of the federal election campaign, we call on all political parties and candidates to recognise that making our aged care system better is a national priority. “LASA’s “I Care for Aged Care” campaign is about ensuring that older Australians can access the care they need, when they need it, and that this care is adequately funded to reflect the actual costs of delivering high quality care and services, and that our sector is supported to attract and train a high performing and compassionate workforce.